Having been to places like Coorg, Hampi, Ooty, Chikmagalur, Kudremakh, and many other destinations – some, even as far as Leh – the group has planed out for Valparai, which is at a distance of 95 kms. from Coimbatore on the Anamalai mountain range, this season. The Valparai range is also the habitat the Nilgiri Tahr, an endemic wild goat, and many other endangered species. The club members hope the time spent amidst the hills will bring them closer to nature and also give them the rare opportunity to see these animals. Dileep Gowda, an enthusiast rider, and a member of Bulleteer has been participating in all the rides the club has organized so far. Gowda hopes the ride this season will be a nice break for all participating riders. “It’s always nice to go to a hill station during winter, which is why I am excited about the ride this season. Moreover, the place looked very different than the other hill stations we have been to so far. We have just done a recce ride and have really enjoyed the place,” said Gowda. The ride will cover a distance of 1000 plus kilometers and is open for everybody. There are many seasoned riders joining the club for the ride this season, but there are many new faces – just like many of their previous rides. “It’s usual to see old faces joining us for the ride, but it’s even better to see new faces. We have grown from being a small team. For all our rides, we have seen many new people joining us. As we expand, we plan to organize longer rides. One of our plans is to ride all the way to North-East India. It’s a place still unexplored and we would like to go and see the place,” said Padmanabha. While Padmanabha and his fellow friends rode all the way to Leh, he feels riding is not just about bikes. “We find some kind of solace in riding. All the members in the club are professionals who are walking in different fields. 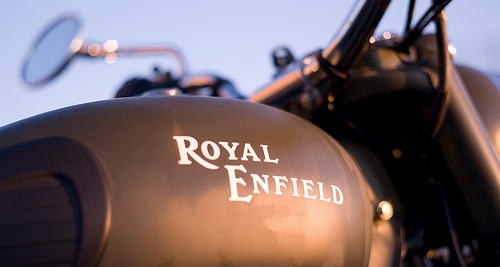 So, when they join us for the ride, it’s an eclectic mix of people joining us – all of whom share the same passion, which is riding Royal Enfield Bullets. It’s just a bunch of all kinds of people with similar interest”. “You don’t always get to see that in your office environment,” asks Padmanabha. 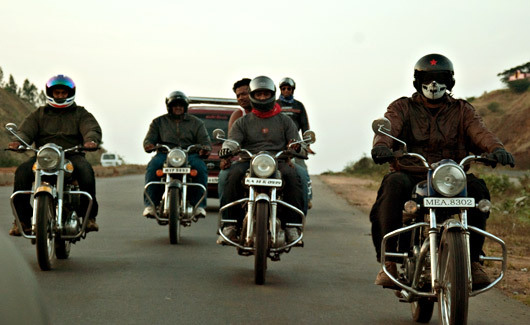 Bulleteer, since its inception almost two years back, has been organizing bike rides, both short and long distance, for all bike enthusiasts, but more precisely, the bullet lovers. The club is from Bangalore. All their rides are normally accompanied by pilot cars and mechanics. Anybody who is willing to join the club for the ride can pay for the package which includes travelling, food and other logistics. There are games and other activities organized for the riders after reaching the destination.